Hi Mandy! 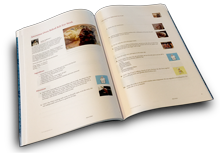 Thank you for including my recipe in your cookbook... This candy is so easy to make and it is very good... I love how you did your cookbook.... you did a great job... lots of cool recipes!